What’s one of the first things you do upon waking up? Chances are you probably check your mobile phone. What does that have to do with PPC? It’s an indicator of how deep mobile phones have penetrated our lives and how they’re affecting everything around us, including PPC strategies. 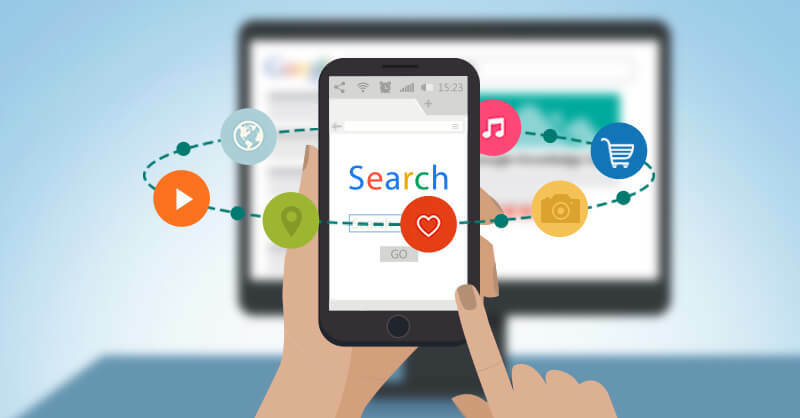 Did you know that mobile search volumes are outpacing desktop search volumes? Even the two biggest search behemoths, Google and Bing, are placing user-friendly mobile experience as a crucial determining factor for higher rankings and they’re dishing out a constant stream of mobile updates. This puts tremendous pressure on small digital marketing agencies and individual PPC consultants to re-strategize so that their campaigns remain competitive. Businesses are demanding mobile first PPC campaigns to stand out from the competition. A worrying trend is that PPC marketers are duplicating desktop strategies across smartphones with only a few minor edits. This means that a business could easily be spending significantly on mobile marketing without many positive outcomes. Why? Because, the mobile platform is unique and requires a separate, clear mobile-centric strategy designed with an end user, competition and mobile consumption patterns in mind. A white label PPC services provider knows that Google’s SERP displays differently not only on mobiles and desktops but also between different types of mobile devices. Lower SERP ad rankings can lead to CTR drops of up to 45%. Developing a solid mobile-first PPC marketing strategy is a tall order if you are not aware of challenges such as these and ways to overcome them. Competition too is tough and white label PPC service providers regularly analyze their own ad copies as well as competitors’ ad copy to understand how they’re displaying on different platforms. A PPC reseller with expertise in mobile marketing knows of several ways to build mobile-first PPC strategies. Understanding when and where to implement particular strategies is key to achieving successful outcomes. For this, mobile first PPC strategies need to be supported and driven by data. PPC resellers invest in cutting-edge data analysis technology and use it to obtain meaningful information about the entire market, which they use to devise clear and clever mobile-first PPC strategies. Another reason to outsource to a professional PPC white label services provider is that real-world trends affect mobile searches more quickly than they do standard desktop searches, and a white label PPC reseller is in a more advantageous position to monitor and take advantage of those trends for mobile-first PPC campaigns. On mobiles, there is less screen space to display PPC ads and consumption patterns to differ. PPC resellers focus on developing shorter, crisper ad copy and visible URLs keeping in mind specific demographics. They also use ad extensions where applicable because ad extensions are a great way to provide more information and they occupy more real estate on SERPs. Subsequently, they help secure higher search rankings and drive higher CTRs. Some ad extensions allow users to convert with fewer clicks, bypassing the need to go to the website – paving the way for a more user-friendly experience. A data-driven, mobile-centric PPC strategy is what you need to obtain steady ROI from the mobile platform. If your small digital marketing agency does not have the expertise to create state-of-the-art mobile-first PPC campaigns, outsourcing to PPC white label services providers makes a lot of sense. This way you can fulfil client requests, deliver fantastic mobile PPC campaigns at an affordable cost and allow your staff to concentrate on core competencies. Don’t waste time and lose out on precious business opportunities – get in touch with white label PPC experts!